Tina lives on a farm in East Anglia where she cooks, does bookkeeping, and enjoys her young grandchildren. She writes a letter to the author of a book about prehistoric Tollund Man. The author has died, but her letter is answered by Anders, a widowed Danish museum curator. Tina had always planned to visit the Tollund Man exhibit with her friend Bella. Life got in the way, and Bella has recently died. The pair continue to exchange letters, then emails, and the reader learns about their lives and recent losses. Bittersweet and utterly charming, I didn’t want this book to end. Readalikes include Letters from Skye by Jessica Brockmole and Our Souls at Night by Kent Haruf. 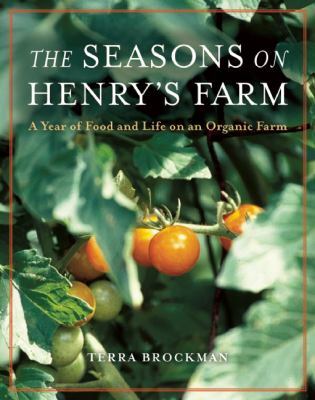 If you’ve ever wondered what life is really like on a family farm, Terra Brockman’s book will give you a good idea. The Brockman family has farmed in central Illinois for most of the time since the 1880s. The fifth generation of Brockmans is growing up, helping on two of the extended family’s three sustainable farms. Terra lived in New York City and Japan for many years, but finally came back to write, and to work on brother Henry’s sustainable vegetable farm, among other pursuits. The days are long, but no one seems to work longer hours than Henry himself. His Japanese wife and three children, a longtime farmhand, a couple of apprentices and extended family plant, grow, harvest, and sell just about every vegetable imaginable. They use plastic hoop houses to extend the growing season, and Henry intensively tracks which varieties do best in which fields and what sells best. I enjoy shopping at farmer’s markets, and I wondered what happens to the leftover produce. Imperfect vegetables and fruit and leftovers go to feed the farmers, with much of it frozen for the winter. Although Henry’s detailed analysis of crops and sales probably doesn’t make for too many leftovers. I liked the arrangement of the book, starting with November, when garlic is planted by the thousands of cloves and moving through the months of the year until the end of harvest in late October. Terra won’t scare you away from farming or intensive gardening, but you will get a good sense of what it’s like to work in the intense cold or heat, and what the long hours feel like when you’re middle-aged. The children and animals on Henry’s farm provide some lighter moments, including Lucky Tom the turkey. More moving passages describe the declining health of Henry and Terra’s father and grandfather, and their father’s surgery and aftermath. 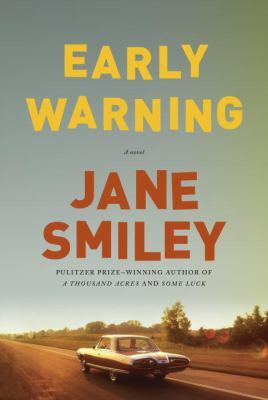 I enjoyed the vivid descriptions of the farms at different seasons and times of day, learning about the politics of plastic bags and farmer’s markets, and especially the simple recipes and photos throughout the book.